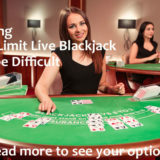 Low Limit Live Blackjack Casinos - Identifying Low Stake Blackjack sites. I was asked the other day about low limit live blackjack and why there were very few casinos offering it. 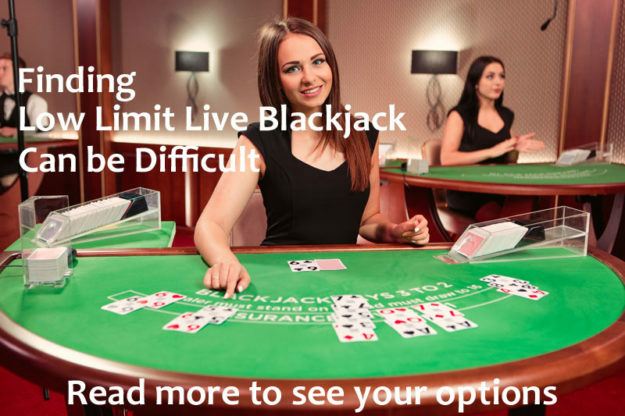 It’s a common question often asked by players new to the game that don’t want to risk too much money and gamblers that just like low stakes live blackjack. You’d think there’d be loads of low stakes tables, but there are some compelling reasons why they are in the minority. Blackjack is one of the most expensive games to run in a land based and online Live Dealer casino. To run a game of Blackjack the casino needs to provide a table and a dealer for every seven players that want to play. Casinos often need multiple tables to satisfy demand and this obviously takes space and costs money. To get round the limitation of tables due to a lack of space and cost, casinos introduced the facility to Bet Behind. This allows both seated and not seated players to bet on the hand of a seated player who controls the playing actions of the hand. While this is very effective at busy times it can become very difficult to place a bet due to the crowds around the table. It’s also quite intimidating if you’re the seated player making the playing decisions and people have bet huge amounts on your hand. 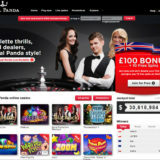 To maximise the profitability of the tables, it’s common to set the minimum bet level quite low on the table when the casino is not very busy, and then increase the minimum stakes as the tables get busier. It’s a bit of an art for the pit bosses trying to keep all the seats filled at the right minimum stake. If you’re playing at a table in a land based casino and the minimum bet limit is raised while you’re seated, you’re allowed to continue betting at the original level. It’s only new players that play at the new rate. Which are the busiest tables? If you look round land based casinos the most popular tables are the lower limit one’s. Higher stake tables get progressively less busy as the minimum stakes rise. In the online live casino world you can see perfect examples of this distribution of players. Just visit any Evolution Gaming Casino to see. They have loads of tables. At busy times you’ll struggle to get a seat on anything below £25 a hand. Above that you’ll have no trouble. 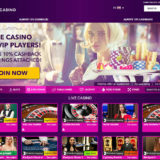 The online live casinos also use Bet Behind and this helps satisfy a need. However a lot of players, myself included like to be in control of the cards and not leave the decision making down to someone we don’t know. Fortunately there are a few options. Depending on your playing experience some may be more palatable than others. Find somewhere with Dedicated Blackjack Tables. Often the minimum stake is lower on these tables and if the casino has multiple tables at least one will be really low. William Hill probably has the best selection with a £2 minimum table, followed by Unibet. Play on the Party Blackjack table at an Evolution Gaming Casino. As this table is a generic table any of the Evolution Gaming Casinos will be ok. The minimum bet is 0.50 a hand. It’s likely you’ll have to play Bet behind as the seats are always taken. 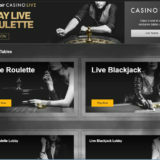 Play Unlimited or Common Draw Blackjack at a Playtech or Netent Live Casino. This game is played with one player hand that multiple players can bet on. It’s better than playing Bet Behind as you get to make the playing decisions. Minimum stakes start at £/€1 a hand. Also my List of Live Casinos has details of betting limits for the live casinos I’ve reviewed.